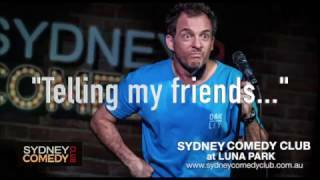 Stand Up Comedy at Sydney Comedy Club located below The Deck Bar and Restaurant at Luna Park. Shows are monthly at 8pm. Tickets can be purchased for the show only, or as a show and dinner combination. Check website for full details.